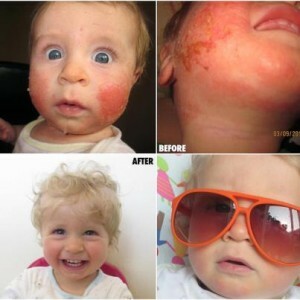 Tyler developed severe eczema at four months of age after a vaccine. After removing his trigger foods and adding a few supplements, like probiotics and evening primrose oil, he’s looking, and feeling, great! “LEAP gave me back my life. A few years ago, I began having sudden (but temporary) hearing and vision losses in the evening while watching TV. I went to the ear doctor but he didn’t know what was causing it. The problem kept getting worse and worse, to the point that I couldn’t hear the TV even when I turned up the volume all the way. My vision would also get blurry. These episodes only happened in the evening, and in the morning I was normal again. I went to the best ear doctors to try and figure out what was going on, and the best they could do was suggest hearing aids. I called the ambulance a couple of times, thinking I might be having a stroke, but after getting CT scans and MRI’s, no one could find anything wrong either. My daughter thought I might be having a silent migraine (the aura, nausea, etc without the head pain), so she suggested I take the MRT (Mediator Release Test) to see if my diet might be causing my symptoms. When I got my results, I was shocked to see that chicken and rice were very reactive. I was eating them a couple of times a week! “Kristen has a really good handle on her digestive symptoms now. She knows what she can have and what she can’t. She knows what she can tolerate in certain quantities. She has worked very hard to come to this point. The diet, your help, and guidance has helped her tremendously. Kristen has been so sick for so many years. Now she has control over her IBS. That is a great feeling. It makes dealing with her other problem that much easier. She’s not fighting two things now. She is controlling one of them. What a liberating feeling! I wish we could have found you three years ago!! Kristen is now able to move on and regain control of her life. She is preparing to go to college. She is looking forward to moving on. That is something she hasn’t been able to do for years.